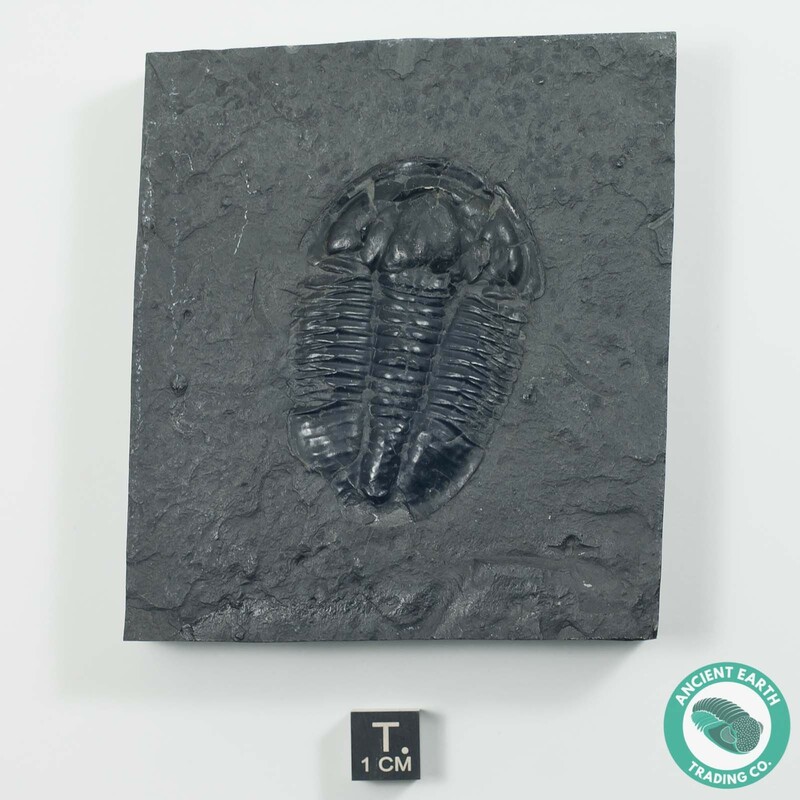 This Asaphiscus trilobite is large for the species and centered nicely on a squared piece of shale. 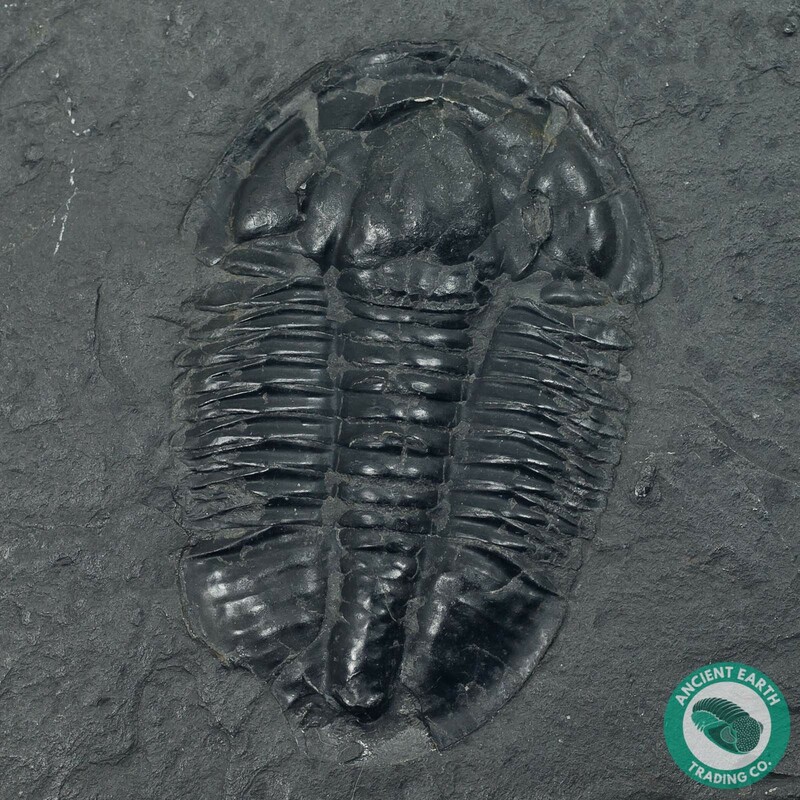 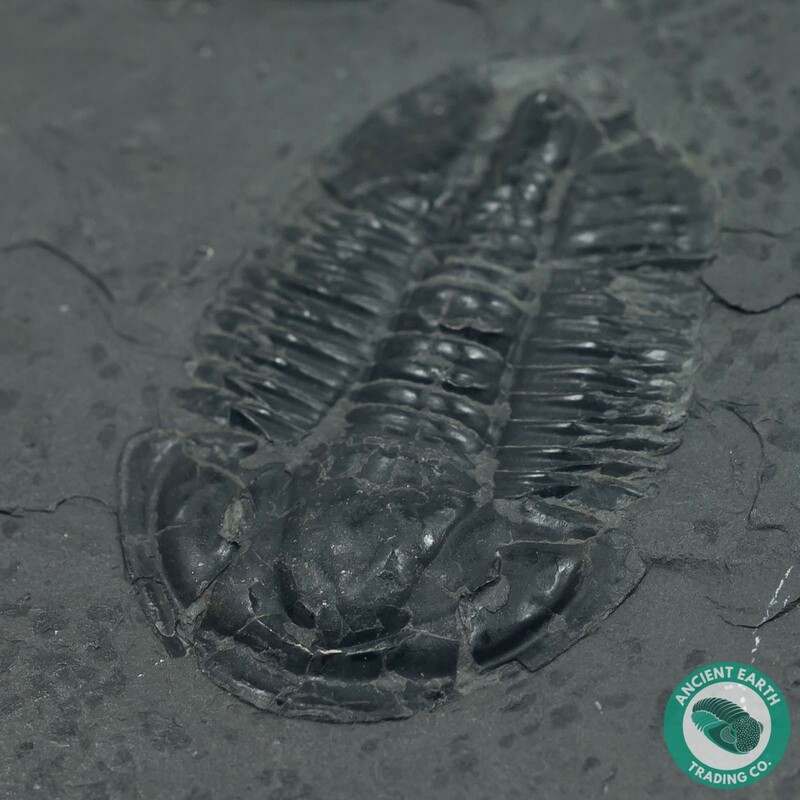 Quarried from near Delta, Utah, these trilobites come from one of the USA's largest Cambrian Age outcrops! 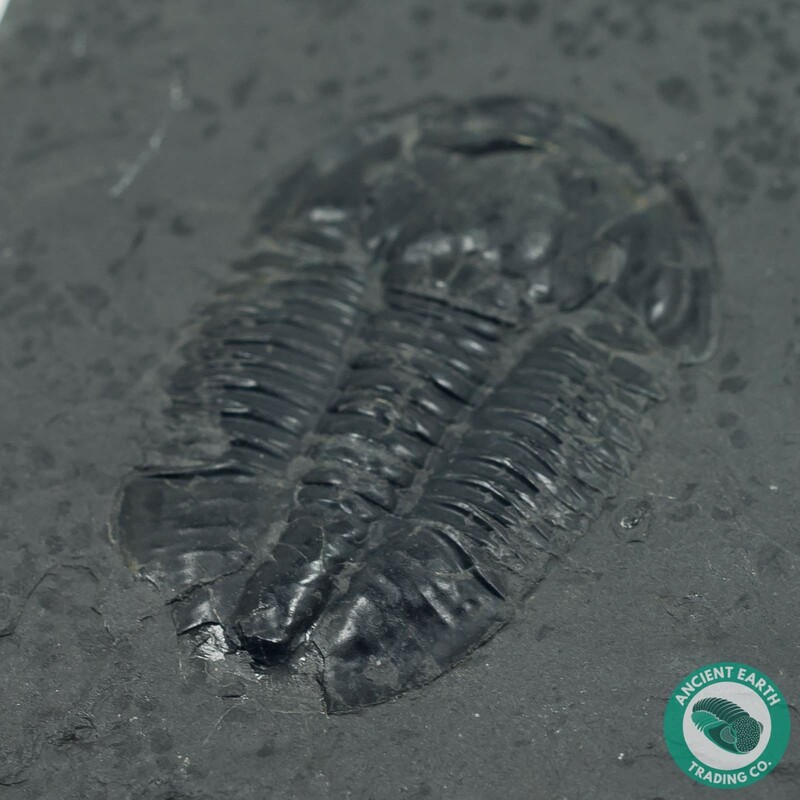 Specimens like this found in the shale layer make for beautiful contrast against the grey colored matrix and pitch black calcite fossil for study or display specimens.